Today, vinyl siding is the number one choice for exterior cladding across the United States and Canada. In fact, U.S. Census Bureau statistics show twice as many homeowners side their homes with vinyl than with any other material. Vinyl siding is available in a broad palette of colors, profiles, and architectural trims to assist architects, builders, and homeowners in customizing their new construction and renovation designs. Vinyl siding can also complement historical restoration projects. Vinyl siding is the exterior cladding that demands the least amount of time and money to maintain. Today’s vinyl siding offers all of the appeal of wood siding without the maintenance worries, rotting, splitting, or insect damage. And, vinyl siding never needs to be painted! 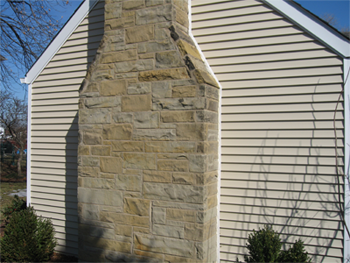 Vinyl siding can be cleaned very easily and made to look brand new for many years after installation, making it an excellent choice for residents of Naperville, Villa Park, Downers Grove, and beyond. With a soft cloth or soft-bristled brush, some mild soap, and a garden hose, cleaning vinyl siding is a low-cost and time-saving alternative to brick, fiber cement siding, wood siding, and stucco. In comparison, bricks require tuck-pointing (or replacement of mortar); fiber cement siding requires periodic painting and caulking; wood siding requires more frequent painting and staining; and stucco requires painting and sealing. Beauty, durability, and sustainability are all attributes of vinyl siding that have driven its success and homeowner appreciation over the last several years. 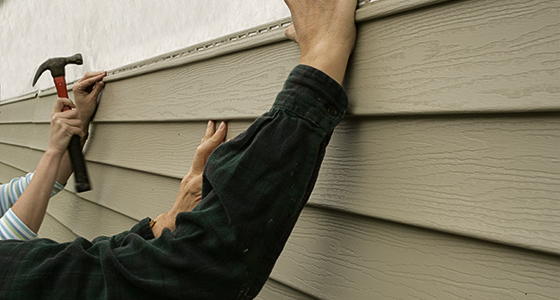 The greatest value homeowners see in vinyl siding is that it requires minimal maintenance. In addition, it’s an attractive option that comes in a range of colors to suit your preferences. While we understand that making renovations to the exterior of your home isn’t something you do every day, and it can be a rather difficult choice to make, at Adept Construction, we strive to make this process as painless as possible. 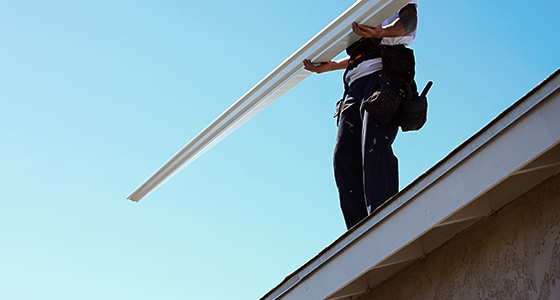 We are here to serve your needs and give your home the value it deserves. Siding is more than just a color, and it’s about more than just giving your home the curb appeal you desire. In addition to being known as a premier roofing company, Adept Construction, Inc. installs a variety of vinyl siding options for our customers in Naperville, Villa Park, Downers Grove, and other great communities near Chicago. Selecting the siding that’s right for your home and choosing from among the many choices available can be a daunting task. At Adept Construction, we can help. 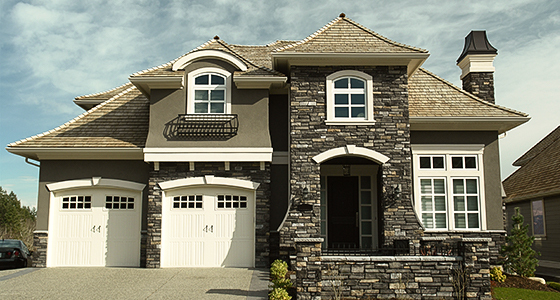 Our knowledgeable staff makes the selection process and siding installation easy and painless. As a preferred contractor with CertainTeed Vinyl Siding, we have been recognized as a premier installer of CertainTeed products. Additionally, we have been recognized by the Vinyl Siding Institute as a certified vinyl installer. While, in some cases, CertainTeed may not offer the exact look you’re looking for your home, we are capable and willing to install your preferred siding of choice. What does it mean to be a VSI Certified Installer? The VSI Certified Installer logo shows that a company has been certified with quality control programs. Your home deserves only the best! If you are re-siding your home or building a new one, the quality of the installation should be as good as the vinyl siding you choose. Make sure it’s done by a VSI Certified Installer or Certified Installer Company. The VSI Certified Installer Program is coordinated by a third-party administrator, Architectural Testing, Inc., which registers participants, reviews tests, trains trainers, and verifies a company’s quality control programs. For more information about vinyl siding and the Vinyl Siding Institute, please visit www.vinylsiding.org today!